As a specialty health-food chef, I have a lot of kitchen gadgets and gizmos. You don't need all this stuff to be a raw foodist, or to eat healthy in general. However, having great appliances saves you kitchen time. Also, great implements make it easier to use up food that would otherwise go bad. Find my detailed appliance recommendations by either clicking one of the following inbound-page links to the right or scrolling down. 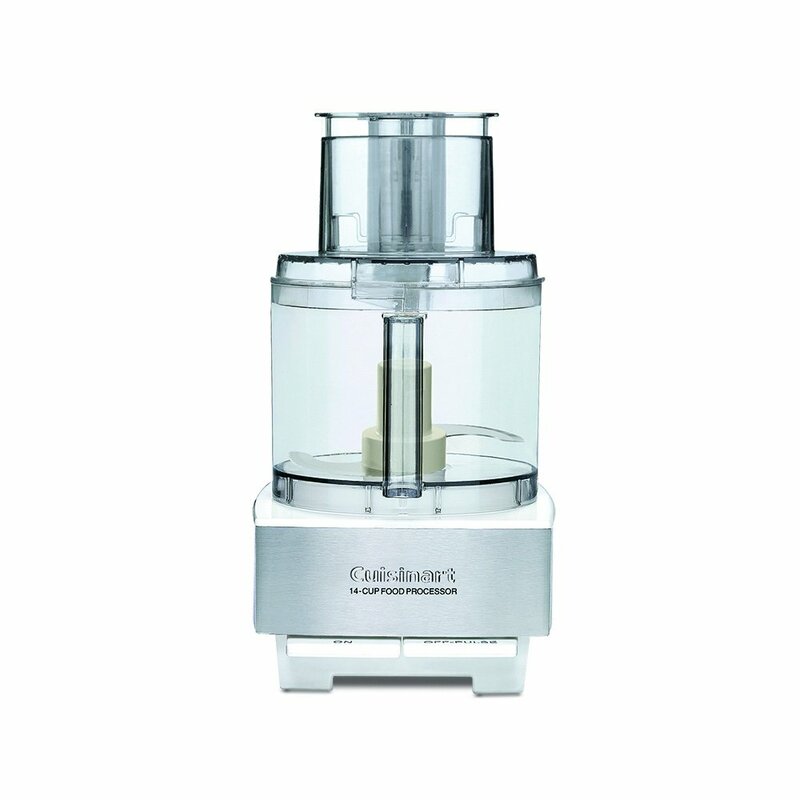 The most important appliance in any kitchen: a powerful food processor. I adore my 14-cup Cuisinart Food Processor. This appliance is critical to healthy eating, whether you're subscribing to paleo, macrobiotic, vegetarian, vegan, raw or The Plant Paradox Program. Having a great food processor is truly a blessing. It has a grating attachment, a slicing attachment and the well-known S-blade. The grating attachment is a miracle on carrots and cabbage, making slaw a piece of cake. No more bruised fingers from wielding the old hand-held grater! I can grate a 5-pound bag of carrots in minutes with my food processor. This is great for making slaws for the entire family or for a potluck. With the slicing attachment I can make beautiful salads with sliced bell peppers, sliced string beans, sliced onion, etc. You name it, it'll slice it. This is a huge time-saver if you've gotten a deal on a load of peppers or beans from the farmer's market. With the s-blade I can make anything. Muesli, granola, brownies, pizza filling, salsa, pizza crusts (with the help of my dehydrator), cookies, pies, guacamole, pudding, ice-cream (although ice-cream is tastier when made in the masticating juicer), pâtés and more. I adore my food processor so much that I brought it on my road trip with me in the Spring of 2012 when I went up and down the East Coast for two months. No appliance is a substitute for a good food processor, not even a vitamix. Having a dehydrator can revolutionize your kitchen! Fill it full of kale and say goodbye to unhealthy unsatisfying store-bought chips. Kale chips will entirely change the way you think about making food at home. Easy, nutritious, delicious and so much fun. Dehydrators are great for making cinnamon apple slices, chocolate banana crackers, spirulina bars, granola mixes, and carrot patties. You can make raw lasagnas and warm it up in a sealed glass container in your dehydrator. If you're buying new appliances just to "eat healthier" in general, then it may not matter which order you buy them in. However, if you're buying appliances as part of transitioning to a raw diet, then the order may matter. I purchased a dehydrator first because I struggled with cravings for "comfort foods". For the first three months of owning a dehydrator I ran it all day, all night, every single day. I kept it full to the brim, making healthy chips and crackers of all kinds. I still love my dehydrator after years. It has never had any problem whatsoever and I've never felt that the design needed improvement. I use my dehydrator for making my own celery salt (dehydrated ground celery) which is more nutritious than sea salt and also to preserve foods that would otherwise spoil. If I have too many tomatoes growing in my garden, I just dry a bunch and then put them in the freezer. Dehydrated food in the freezer will retain flavor for over a year! I use it to save money. I can buy boxes of fruit (like 40 pounds of organic bananas for only $25) and then dehydrate what I don't eat within a few days. Owning a dehydrator is great for making snacks and storing for hard times. It makes food that stores well, packs well, and lasts a long time. All of that, and you can eat warm food that is still raw and filled with enzymes. Can you tell that I love my 9-tray Excalibur dehydrator? I've easily saved money by buying this item. Tons of bananas and tomatoes and kiwis would have spoiled without it. I've made use of tons of carrot pulp from making juice that otherwise would have gone into the compost. Juice pulp doesn't have a lot of nutrition, but the fiber is great for cleaning out the intestines so I like to use it when I have an excuse to. 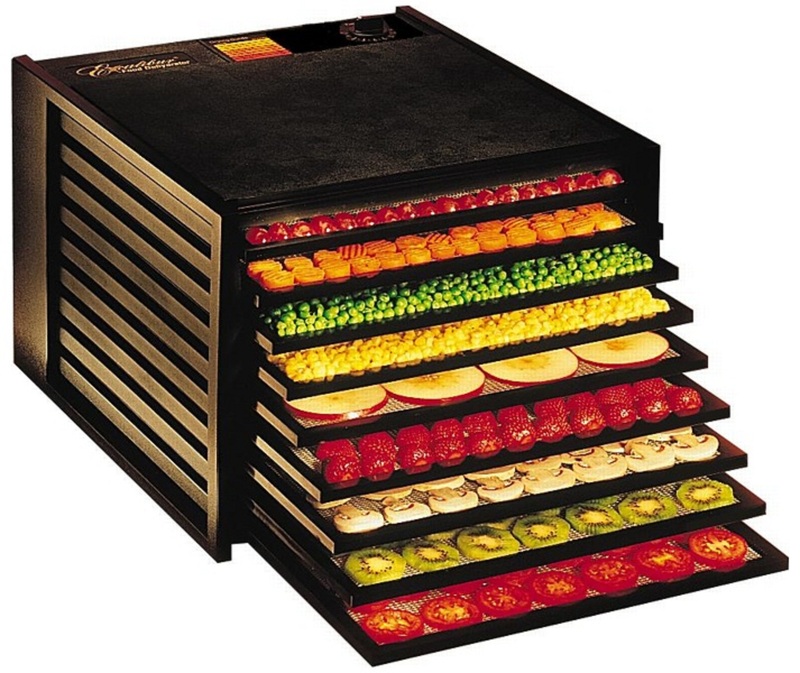 You can also get a 5-tray dehydrator but I think the 9-tray is a much better deal for the money. And those nine trays get so easily filled! You'll also want to buy the non-stick teflex sheets for your dehydrator. These sheets are great for making things that are kinda goopy. For example, I love to mash up bananas with raw cacao or carob and then put it in the dehydrator for an hour to make it warm at 105 degrees F. That wouldn't work very well on the grid sheets that come with the dehydrator by default. The grid sheets are great for drying slices of zucchini, tomatoes, kale chips, etc, but not so great for carrot crackers, corn chips or chocolate pudding. Believe it or not, I don't make a lot of money off my website. All this information I put out there is really a labor of love. I want to help others, I want to spread the healing. But I also feel I deserve some dollars in return for all my effort. So if you buy any of the things on this page, please use my links to do so, as I will get a small commission off of each sale. It won't cost you anything extra, but it will give me a few dollars. The second thing my husband and I chose was the Omega 8005 masticating juicer. It is an excellent appliance for making nut-butter, ice-cream, wheatgrass juice (or any green juice) and puddings. It has two attachments, one is the "screen" that separates juice from pulp. The other is a "blank" which just ejects everything in one place. With the "screen" attachment the masticating juicer makes juice. This is the type of juicer you use to make juice from leafy greens, wheatgrass, cilantro, spinach, etc. Green leafy juices are not extracted very well from "cutting" which is what a centrifugal juicer does. A masticating juicer uses an auger to squish the food making the juice come out from a mashing or "masticating" motion. The word mastication essentially just means mashing. 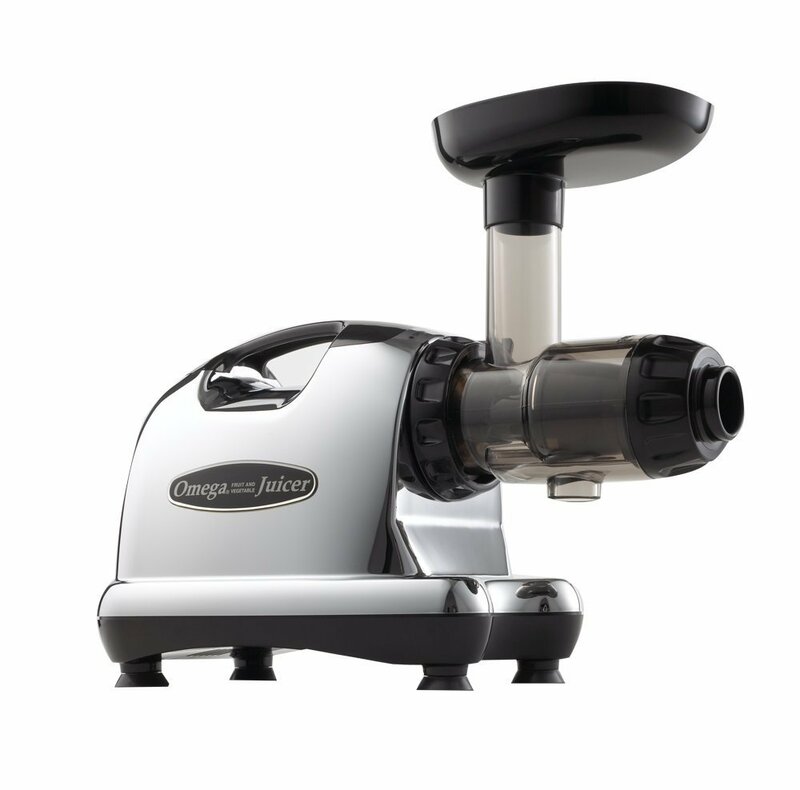 A masticating juicer such as the Omega 8005 is the only kind of juicer that makes nut-butter, ice-cream and juice. You can see a video of me making ice-cream with my juicer by clicking here. We choose to buy this appliance next because we wanted to make juice that would help us detox and get more nutrition into our bodies. Click here for juice recipes I like to make with my masticating juicer. If you make a lot of juice, it saves a lot of time to own both a masticating juicer and a centrifugal juicer. Why? A centrifugal juicer will save you 95% of the time when making carrot, beet, or celery juice. Centrifugal juices are great for cucumbers, celery, carrots and chard/kale/collard stems. However, they are not good for leafy greens, which is where your masticating juicer plays its part. I don't recommend getting a Jack LaLanne centrifugal juicer. The appliances do not live up to the man, by any means. You pay quite a bit extra just for the brand name and gain nothing in quality. I have been pretty happy with my L'Equip, but the model I'm still using is no longer being made. We did a lot of research before all of our appliance purchases. We read literally hundreds of reviews. We saw that the Jack Le'Lane juicer gets a ton of bad reviews, and we discarded many juicer ideas where people complained about the difficulty of cleaning the appliance. We each spent time meditating on the purchases and reading reviews not just because of the expense of these products, but because we didn't want to have to waste more time taking things back or dealing with customer service. By spending six hours on research, we saved ourselves having to spend six hours later on the phone with some customer service guy. As raw foodists we don't do a ton of cooking, but having a cooking device comes in handy even as raw foodies. Sometimes we have wilting food and want to make a soup. Sometimes we see a great deal on sweet potatoes and want to steam them for a treat. During the winter my husband likes to make t'eff (a grain more nutritious than amaranth or quinoa by a lot) to keep warm. We don't have a stove or an oven, but we do have a pressure cooker. I like that it doesn't take up a lot of space (like an oven does) and it doesn't require owning a bunch of pots (like a stove does) and that it has automatic settings to make it turn off so that your food never burns and turns black. It cooks quickly and keeps more nutrition because the water doesn't escape. It is self-contained and doesn't require a dozen other cooking devices to do its thing. 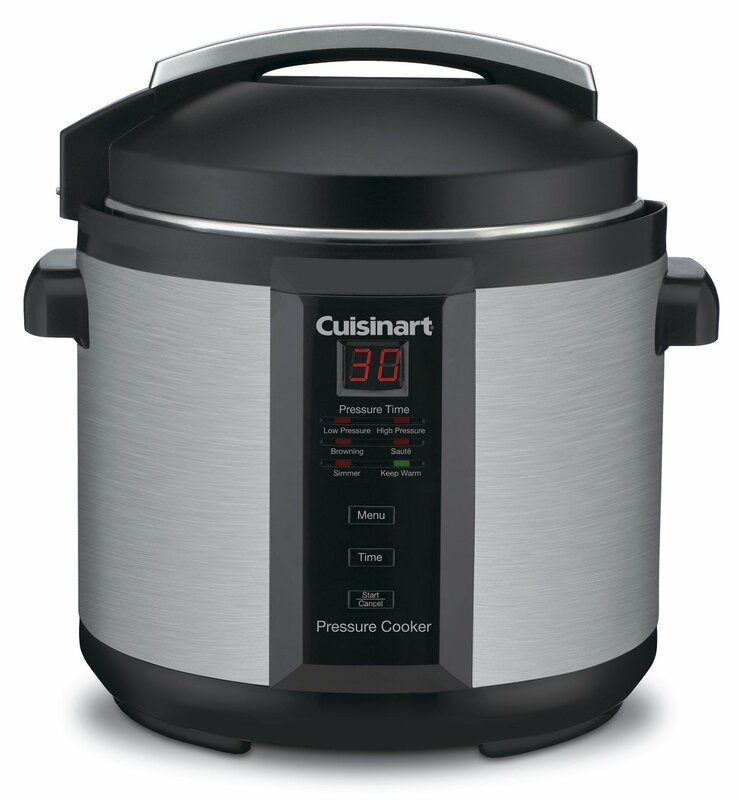 We bought a Cuisinart Electric Pressure Cooker and have had little complaint with it. In fact, we only have one single complaint which is that we wish the pot on the inside was made of stainless steel. It has some sort of non-stick coating which can be theoretically hazardous in the long-term if the coating ever starts to flake off into the food. Note that if you do buy a pressure cooker with a coating on it that you should always use either bamboo or wooden spoons/utensils when scraping out the food so that you do not make scratches in the coating. Otherwise, it is an amazing piece of technology. It cooks things with an unbelievably small amount of water in an unbelievably short amount of time and because the water isn't evaporating into the air with all the nutrition, the flavor is better too! While I don't advocate cooking often, it is practical to have a cooking device. If you're someone who is likely to "splurge" on unhealthy cooked foods, it makes more sense to own a cooking device and cook yourself a healthy cooked meal on occasion. Have a planned splurge so that you can rebel against any feeling of constraint without harming yourself with something really toxic. Many people mistakenly believe that it is better for the trees if we buy plastic over wood. This isn't really true because pollution from plastic ruins the environment in other ways. To get truly ethical bowls and implements, seek hand-crafted wood implements made from drift wood. The practical reason I enjoy wood and bamboo is because fiber-based implements can crash to the floor again and again and not shatter. And unlike plastic, chemicals aren't being continually excreted. Granted that some wood/bamboo treatments might not be the best for our health. A wooden bowl that you keep for life has got to be better for the environment that buying fifty glass bowls over the course of a lifetime as one breaks every year or two. That is my thinking, since there is waste and environmental damage both in production and in consumer waste. As a nice bonus, the aesthetic look of wood and bamboo is quite pleasing, and the overall feeling is much more natural. 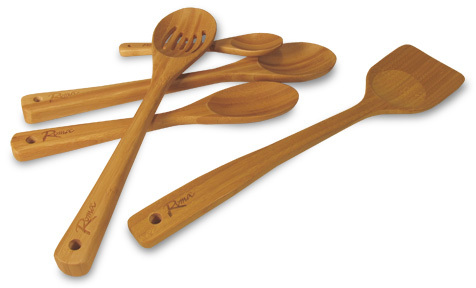 I also find it nice to eat with wooden or bamboo spoons because of the nice light feel in my hand. When placing wood or bamboo utensils in your mouth there isn't that harsh metallic clang as the metal hits your teeth. I use silicone trays for making brownies, chocolate bars, ice-cubes and truffles. I use silicone because unlike plastic is doesn't leach any toxins into the food. While silicone is more expensive than plastic, it is less likely to break, it is better for your health, and it is even easier to get out your frozen treats because the silicone is flexible. Silicone is also used for baking, but I just use mine for the freezer. Want to learn more? Sign up for my monthly newsletter!